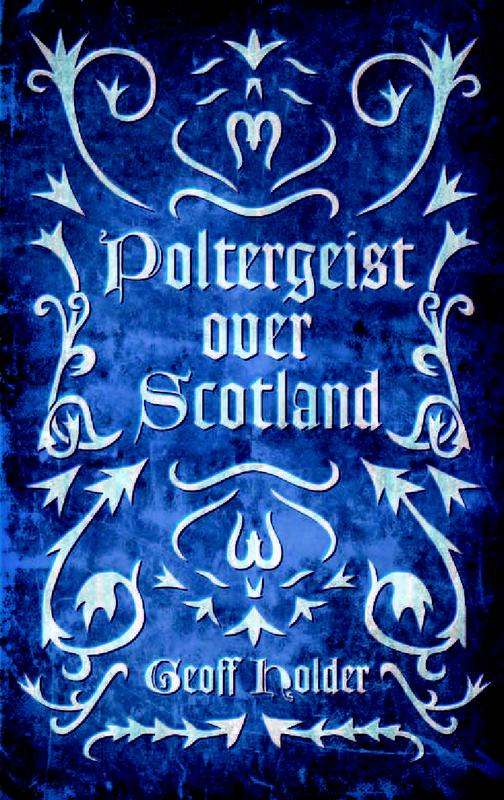 My next book, Poltergeist over Scotland, will be published at the end of January. 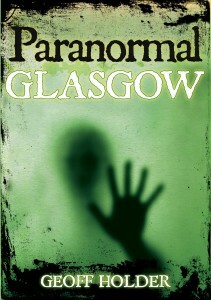 It is the first-ever survey of Scottish poltergeists, with 134 cases stretching from 1635 to 2012. Illustrated with images and distribution maps, and with cases in Shetland, Orkney, the Western Isles and the Highlands, as well as all the Lowland counties and the major cities, this should be the definitive work on the topic of Scottish polts. New research throws light on a number of well-known episodes, from the Edinburgh ‘Egyptian curse’ poltergeist to the Trinity case that famously ended up with one of the participants suing the other in court. In addition, many cases have been rescued from dusty obscurity, while others have either not seen the light of publication for centuries, or are previously unpublished. 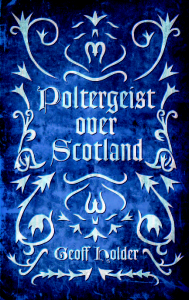 You can order Poltergeist over Scotland here. Meanwhile, a series of interviews with the humble author on the subject of poltergeists can be found on this very website here and also on YouTube. 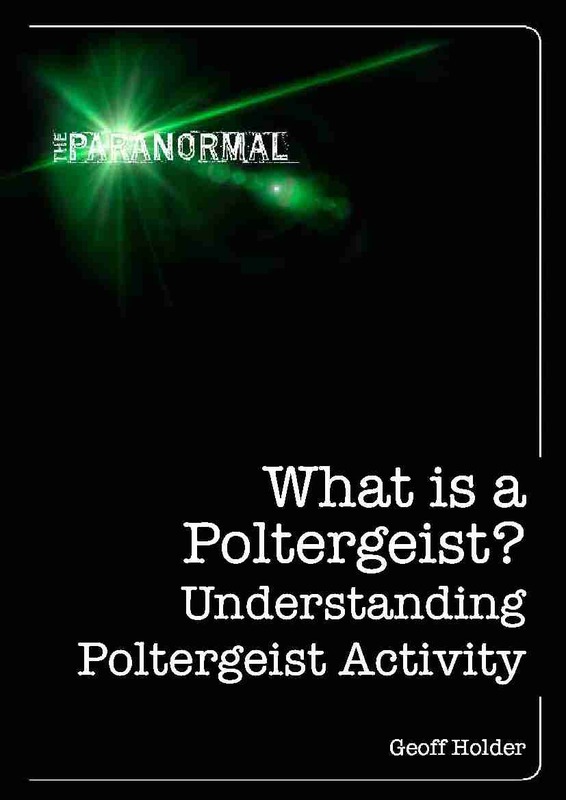 This entry was posted in Book releases and tagged 2012, edinburgh, geoff holder, ghosts, Haunted, Paranormal, poltergeist, poltergeist over scotland, scotland on 09/01/2013 by Jamie Cook. To mark the fact that I’ve got two books on poltergeists coming out, a series of interviews with the humble if prolix author have been posted on that there YouTube. These are illustrated with cases from throughout the world, including America, Europe and Asia. 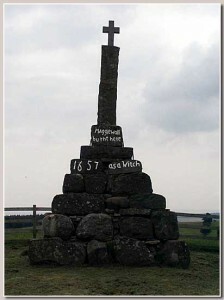 When discussing Poltergeist over Scotland I talk about some of the 134 cases I’ve uncovered over the past 400 years. 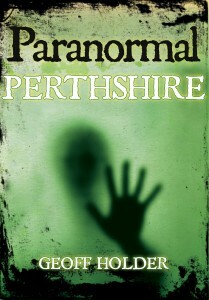 This is the first ever history of Scottish poltergeists. 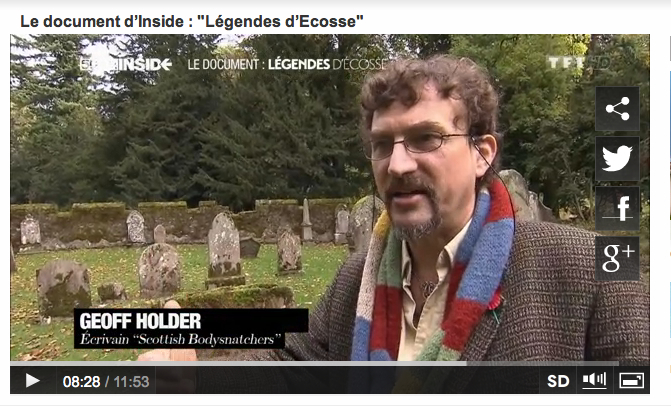 The interview clips are being released in 16 parts over the next week or so, both on this website here and on YouTube. Collect the set! This entry was posted in Promotional, Uncategorized and tagged geoff holder, Haunted, haunting, Paranormal, poltergeist over scotland, scotland, what is a poltergeist on 17/12/2012 by Jamie Cook. 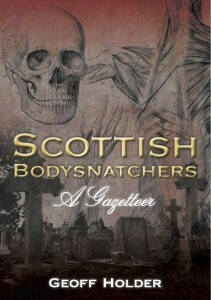 On Thursday 25th October I’ll be lurking with intent at the Bellshill Cultural Centre, talking about the history of Scottish bodysnatching, possibly with an element of audience participation. 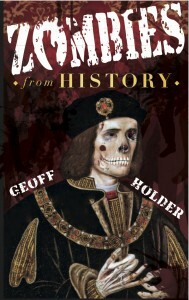 The event starts at 7pm and is free, Booking not essential but advisable, on 01698 346770. 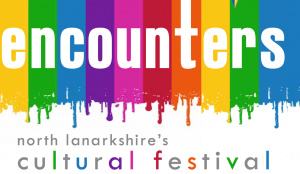 The illustrated talk is part of the North Lanarkshire Cultural Festival, Encounters. Is that graveyard dirt on your hands, sir…? This entry was posted in Messages from Geoff, Talks and Events and tagged bellshill, encounters, geoff holder, Haunted, north lanarkshire cultural centre, Paranormal on 26/10/2012 by Jamie Cook.